Head west or east on Fulton and turn into the park at 43rd and turn west towards the ocean on Kennedy Drive. Or come up Kennedy Drive from the Great Highway and we will be on the left side. 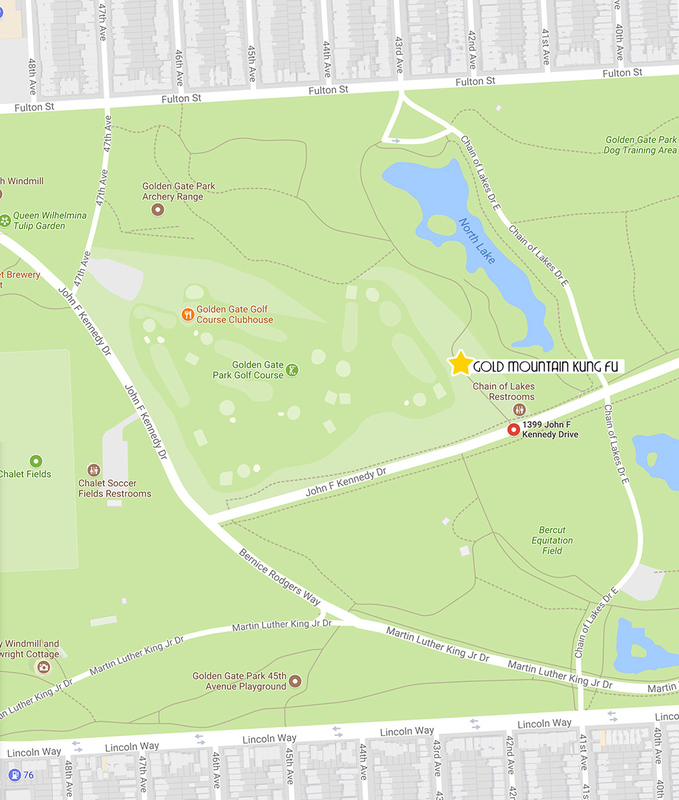 You can also enter the park at Lincoln near 42nd and turn west onto JFK. We are a hundred yards by the park bathrooms on the north side . Call Chris Harris 925 519-6802 Or Sifu Valerie at 415-518-8100 if you are planning to come so we can look for you. It is difficult to find for the first time.